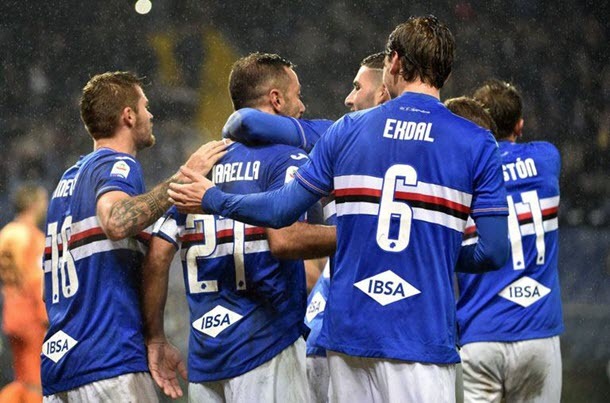 Sampdoria drew its away derby against Genoa but one thinks Samp can secure city bragging rights until next season at the very least by winning Sunday’s Italian Serie A clash. The scoring in November’s Italian Serie A match between Sampdoria and Genoa was complete by the 17th minute with Samp hitting the front eight minutes into the game before conceding an early equaliser. Neither Sampdoria nor Genoa brings brilliant recent Italian Serie A form to Sunday’s party – Samp have lost two matches on the bounce and their fierce rivals have won only one of their last seven league games – but one agrees with the raw ladder that says this weekend’s hosts are slightly superior to their guests. Sampdoria is ninth on the Italian Serie A ladder, five rungs and 11 points ahead of Genoa after 31 rounds. According to one’s Italian Serie A collateral form analysis, Sampdoria boasts a 15-0-4 lead over Genoa but that is a bit misleading because the progressive count was 4-0-4 before Samp pulled away by virtue of outperforming their enemy against most of the teams towards the bottom of the ladder. One is confident Sampdoria is better than Genoa but, rather than back Samp to win Sunday’s derby by any scoreline, one recommends backing them to triumph by a one-goal margin at much tastier odds. Cristian Romero and Ervin Zukanovic will return for Genoa after serving their respective bans but Stefano Sturaro is suspended, while Sampdoria has fewer selection problems. Betting on Italian Serie A matches does get tricky as the end of the competition ends because sometimes one is not sure about the motivation of sides. That is one reason why one could not back Juventus to defeat SPAL on Saturday at 17/10 2.70 +170 1.70 1.70 -0.59 with BetVictor. For one’s second and third Italian Serie A wagers of Round 32 one is going to go with Milan and Internazionale. Both Milan and Lazio are fighting over UEFA Champions League berths for next term with, realistically, five teams arguing over one spot. Milan is fourth on the Italian Serie A ladder and, therefore, a UEFA Champions League position is its to lose with seven rounds remaining. 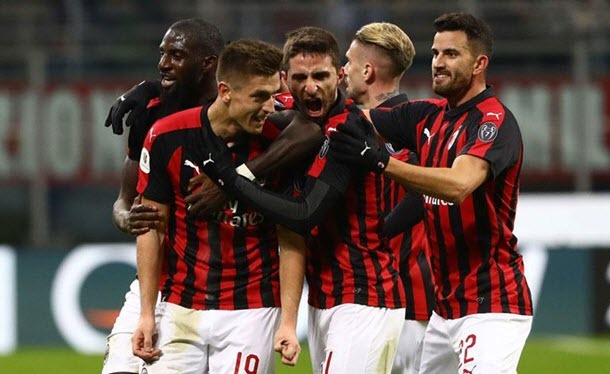 According to one’s Italian Serie A collateral form analysis, Milan enjoys an 8-5-6 edge over Lazio but dig a little bit deeper and you find the Red and Blacks have outshone the White and Sky Blues versus most of the division’s heavyweights, with progressive counts of 4-4-0 and 6-5-1 favouring Saturday’s San Siro hosts. Also, Milan would have beaten Lazio in November’s reverse Italian Serie A fixture had it not been for a 90th-minute leveller. Neither Milan nor Lazio has a player out due to suspension and there seems to no players in doubt due to injury apart from those who are zero chance of being fit to feature. 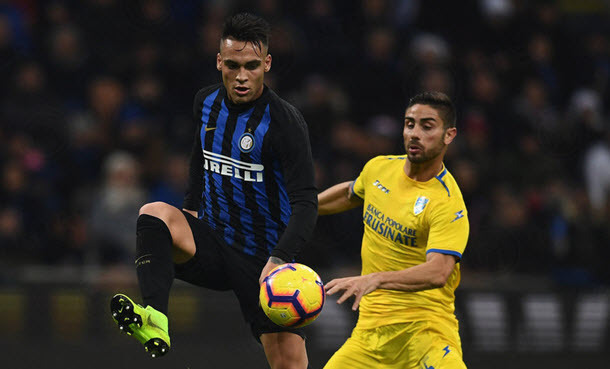 Frosinone has won each of its last two Italian Serie A games to breathe some life into its season but avoiding relegation remains highly unlikely and one suspects Internazionale will be too good for its struggling opponent on Sunday at 3/5 1.60 -167 0.60 -1.67 0.60 with Betway. According to one’s Italian Serie A collateral form analysis, Internazionale holds a 15-2-2 advantage over Frosinone and November’s reverse fixture ended 3-0 in favour of the Black and Blues. The early team news is relatively straightforward so one is not expecting any surprises, either in the line ups or on the scoreboard, with Internazionale tipped to win.